Many cloud storage options are available to businesses and consumers today, but one size does not fit all. This cloud storage guide includes tips to help you get started. Cloud storage is an indispensable tool in today's hyper-connected world. But unlike the early days of cloud storage, when vendors regularly rolled out new capabilities and routinely bumped up storage limits, the market has matured in terms of capabilities and storage norms. 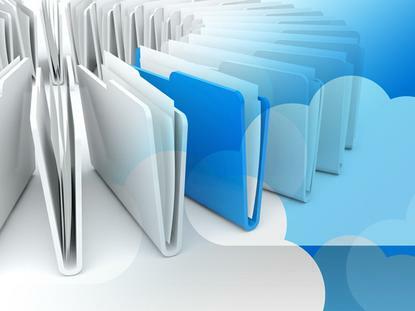 Here are some key factors to consider before choosing a new cloud storage service. One of the first things you should do when choosing between cloud services is compare storage options, features and costs. Free offerings might work if you need only the basics, but some of the most important or advanced capabilities are available only via paid plans. Some cloud services offer very limited storage space for free, and some offer none at all. MetaCtrl's OneSync lets users select entire folders to download to their mobile devices. Capabilities and storage aside, another important consideration is the level of functionality available within the official mobile apps. The iOS and Android versions of popular cloud service apps also often offer vastly differing experiences and feature sets, and they're frequently limited compared to their desktop counterparts. For example, you sometimes have to manually select files to download them to mobile devices, and you usually can't download entire folders without individually selecting files contained within. Fortunately, some more popular cloud storage services also have third-party apps to help manage folders using compatible mobile devices. Many of today's cloud services have problems keeping accurate track of files that are modified regularly. So the caability to save multiple copies of files from different points in time, or "versioning," can be a key feature if you plan to regularly modify the same files. Not all cloud services support file versioning, however, and the functionality of the ones that do varies widely. Dropbox Pro offers unlimited version history, for example, but it stores revisions for just 30 days, unless you pay for the premium extended version history option or switch to Dropbox for Business. 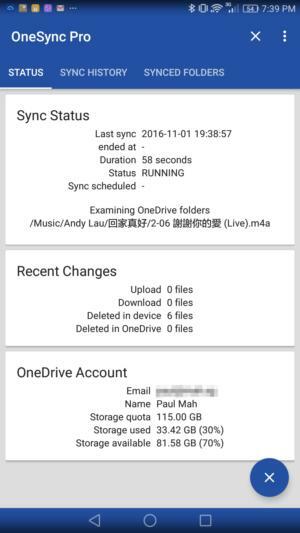 Microsoft OneDrive versioning works for Office files but not others, and the versions you save eat into your storage space. Just about all of the leading cloud storage offerings today keep data within static locations, they impose limits on the ability to rename root folders, or will only synchronize folders stored in root folders. Without resorting to complicated workarounds or running file sync software, a handful of services, such as SugarSync, let you keep your existing folder structures intact but also select arbitrary folders for syncing. Security is already a crucial consideration when it comes to the cloud, and it will only become more important as hackers get more advanced. Unfortunately, many people simply don't understand cloud security. Cloud providers' claims that they use strong encryption for both data in transit and at rest mistakenly bolster your impression that your information is always protected. However, the real threat comes from skilled hackers who want to crack cloud storage services, because their vast pools of data make them appealing targets. In such a situation, whether or not those companies encrypt data at rest is irrelevant, because the associated decryption keys would necessarily be stored by the same cloud provider and could also be stolen in a breach. Platform-wide attacks aside, you can thwart hackers that try to target you individually. Two-factor authentication can help protect against brute-force attacks, but even when it's available it is often disabled by default. Two-factor authentication systems send one-time-passwords via text message or an app that can be used together with your password to add a layer of security. You could also choose to encrypt data before you upload it to the cloud, but such an approach would limit many of the benefits of cloud storage. Services such as SpiderOak One aim to ease that process with desktop apps that automatically encrypt data as it's uploaded and decrypts when downloaded, so the data would never be available to the cloud provider. SpiderOak One on the desktop encrypts data before uploading, so cloud storage providers have no visibility into the data. Access to details on recent login attempts could help alert you to digital break-in attempts, and such access logs can also play a crucial role in determining the extent of a data breach after the fact. If you rely on cloud storage for work, you may want to explore business-centric options. While more expensive, such services come with advanced tools that let you manage multiple cloud offerings from a single administrative console, monitor use across an entire organization and enforce specific settings, such as two-factor authentication. Depending on the provider, collaboration capabilities may also be available, including folders that can be shared with specific team members, alerts for file modifications and the ability to add comments to files. 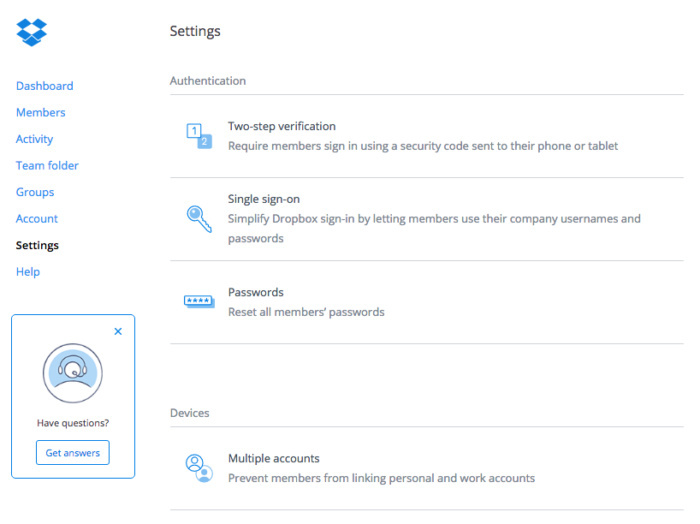 Dropbox for Business lets users enforce settings, such as two-step verification. Services that track file changes can typically also generate audit reports with detailed logs of file modifications and information on the people and devices that access them. Administrators can suspend user accounts when employees leave to ensure that important files aren't deleted, or transfer permissions to others when responsibilities change. 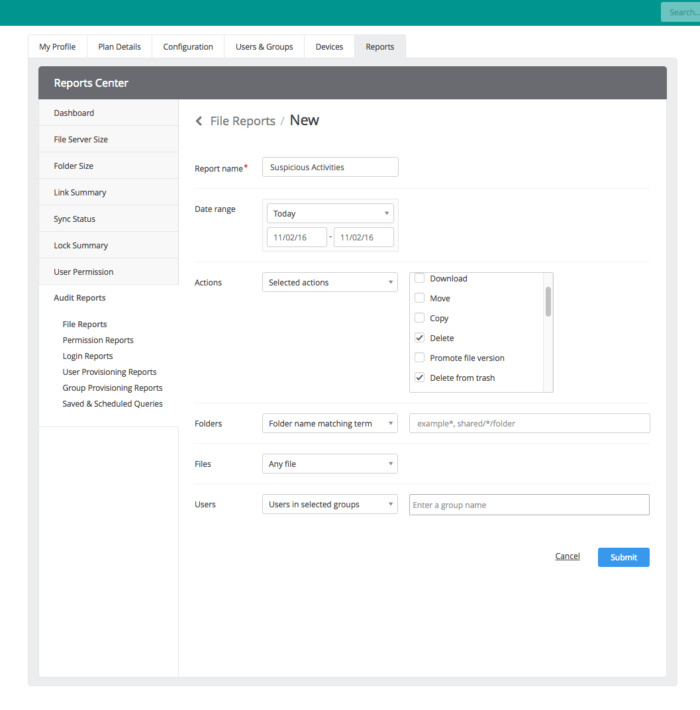 Users can generate detailed reports based on specific criteria with Egnyte. Some cloud storage services integrate with other third-party services and apps. Dropbox and Microsoft, for example, have an arrangement that lets users open Microsoft Office files from within the Dropbox app, and they can also access documents stored in Dropbox using Microsoft Online services. Despite popular belief, the cloud is not too big to fail. It does offer genuine value, but do the appropriate due diligence before you embrace cloud services. It's also a good idea to remember that syncing your files to cloud storage service is not a replacement for real data backup. Organizations that want stronger protection for data stored in the cloud should read, "How to create a robust backup strategy with cloud services."